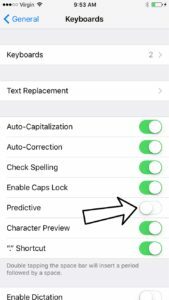 You are at:Home»iPhone»Settings»How Do I Turn Off Predictive Text On An iPhone? How Do I Turn Off Predictive Text On An iPhone? You want to get rid of the suggested words above the keyboard on your iPhone, but you’re not sure how. 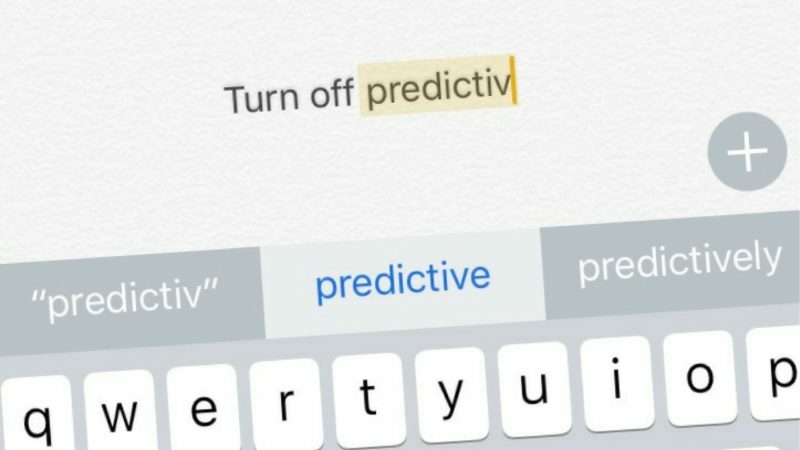 Apple’s Predictive feature suggests the words you see based on grammatical structure and your texting habits. 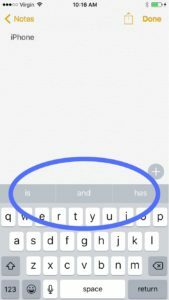 In this article, I’ll show you how to turn off predictive text on an iPhone so you won’t see the gray box with suggested words above the keyboard of your iPhone. Predictive text is a software program that suggests words when you are typing on the keyboard of a mobile device. 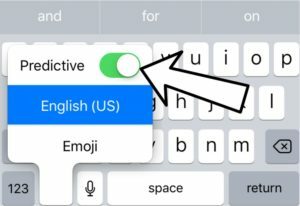 Predictive text technology on your iPhone has become so advanced that it can now identify your typing habits when texting specific people and generate word suggestions based on your previous interactions with those individuals. In the Settings app of your iPhone, predictive text is known as Predictive. When Predictive is turned on, you’ll see a gray box appear above the keyboard of your iPhone. This gray box was included with QuickType, which introduced by Apple when iOS 8 was released. As you start typing, you’ll notice that as many as three suggestions appear in the box. If you wanted to add one of those suggested words into your message, you can simply tap the word and it will appear. Tap the switch next to Predictive. You’ll know Predictive is turned off when the switch is gray. You can also turn off predictive text from the keyboard itself in any app that uses the keyboard. Press and hold the language button to the left of the space bar (the button that looks like a smiley face ). A menu will pop up with a switch next to Predictive. To turn off predictive text, tap the switch. You’ll know predictive text is off when the switch is gray. That’s all it takes to turn off predictive text on an iPhone! Now when you use the keyboard on your iPhone, you won’t see the gray box with suggested words. If you ever want to turn predictive text back on, simply go back into the Settings app or the keyboard in any app and tap the switch. You’ll know predictive text is on again when the switch next to Predictive is green. I Predict That Your Problem Is Solved! 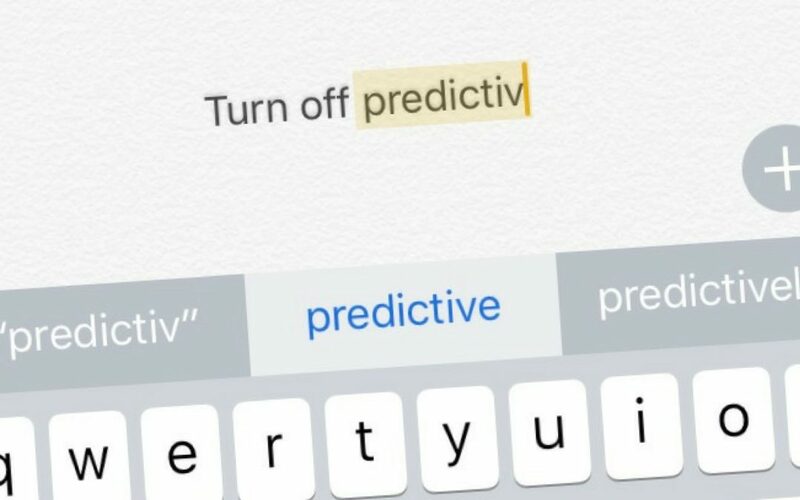 You have successfully turned off Predictive and you’ll know longer see suggested words when you use your iPhone’s keyboard. Now that you know how to turn off predictive text on an iPhone, we’d love if you shared this article on social media with your friends. Thanks for reading our article, and feel free to drop us a comment down below if you have any other questions about your iPhone! Previous ArticleCan An iPhone Be Hacked? Yes! Here’s The Fix! Next Article How To Hard Reset An iPhone & Why It’s Bad: An Apple Tech Explains!